“In June 1973, NATO holds a ministerial meeting in Copenhagen. 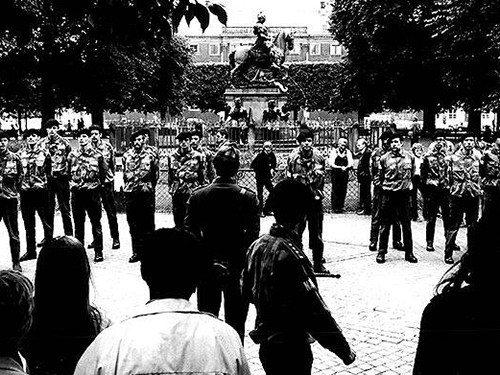 During the day of the meeting, divisions of soldiers appear in the street scene, where they observe and fight NATO’s ‘inner enemies’ with remarkable zeal. 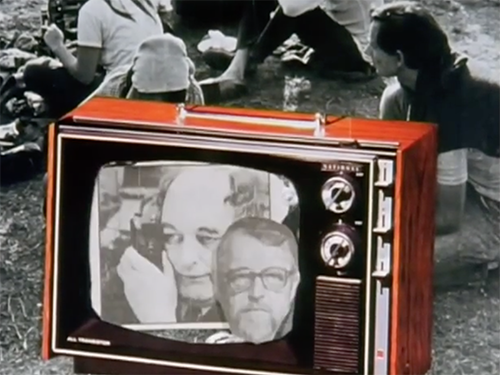 “In the spring of 1974, the bourgeois government, with Defense Minister Brøndum, planned a veritable campaign against the newly established sanctuary Christiania. No less than 60 houses would have been demolished, with the grounds that they were flammable and in poor construction condition. 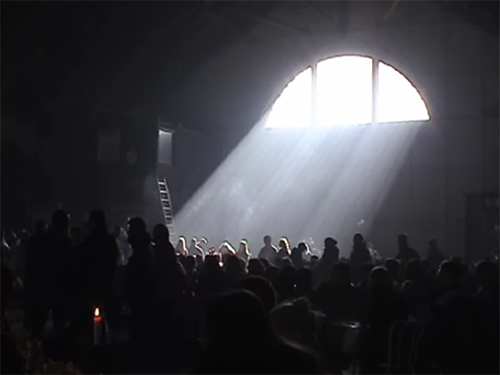 “The new film about Christiania in the spring of 2003, where the government threatens the sanctuary with closure, and where the Christians are mobilizing.